UFC is returning to business tonight (Sat, March 23, 2019) with UFC Fight Night 148 MMA event from inside Bridgestone Arena in Nashville, Tennessee. 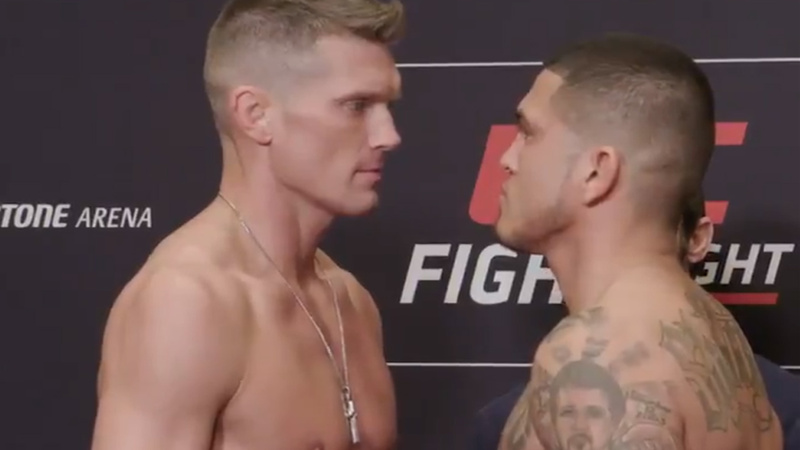 The main headliner features an intriguing welterweight bout where top contender Stephen ‘Wonderboy’ Thompson will try to rebound from a previous loss against Darren Till when he clashes against former UFC lightweight champion Anthony ‘Showtime’ Pettis, who’ll also look to get back into winning column after suffering a TKO loss from the hands of Tony Ferguson at UFC 229. Meanwhile, in the co-main event Curtis “Razor” Blaydes will attempt to get back into winning column from a recent loss against Francis Ngannou at the expense of Justin “Big Pretty” Willis. More in the main card, Luis Pena “Violent Bob Ross” returning to featherweight against Steven “Ocho” Peterson. The prelims begin around 5.p.m which is followed by the main card at 8.p.m at ESPN+. Fight fans can watch the full event at UFC.com.